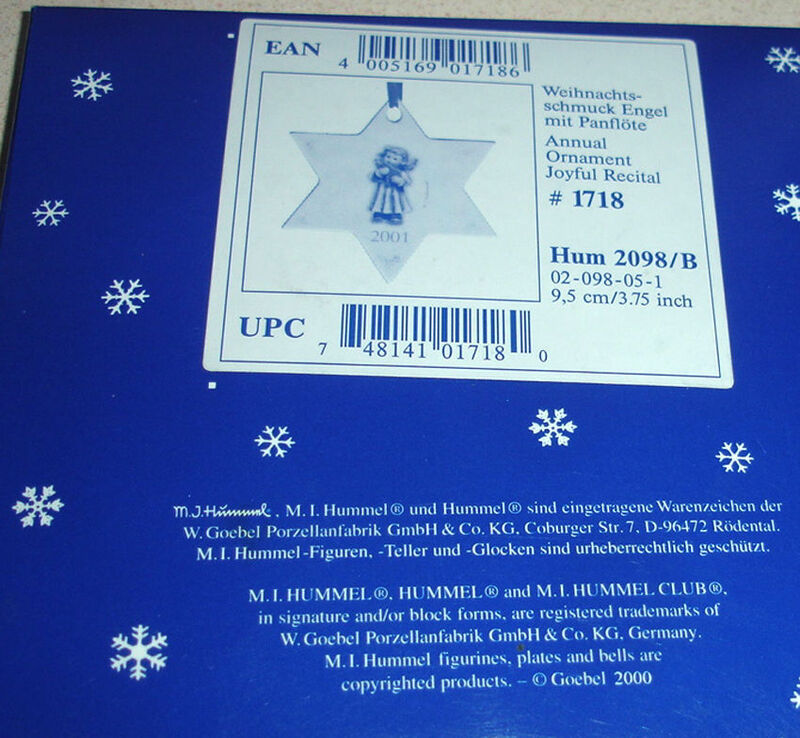 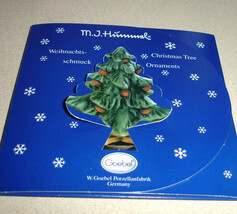 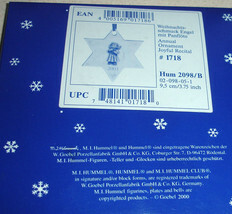 Home » stop2shop18's booth » Hummel Goebel Joyful Recital Christmas Tree Ornament 2001 #1718 Hum 2098/B New! 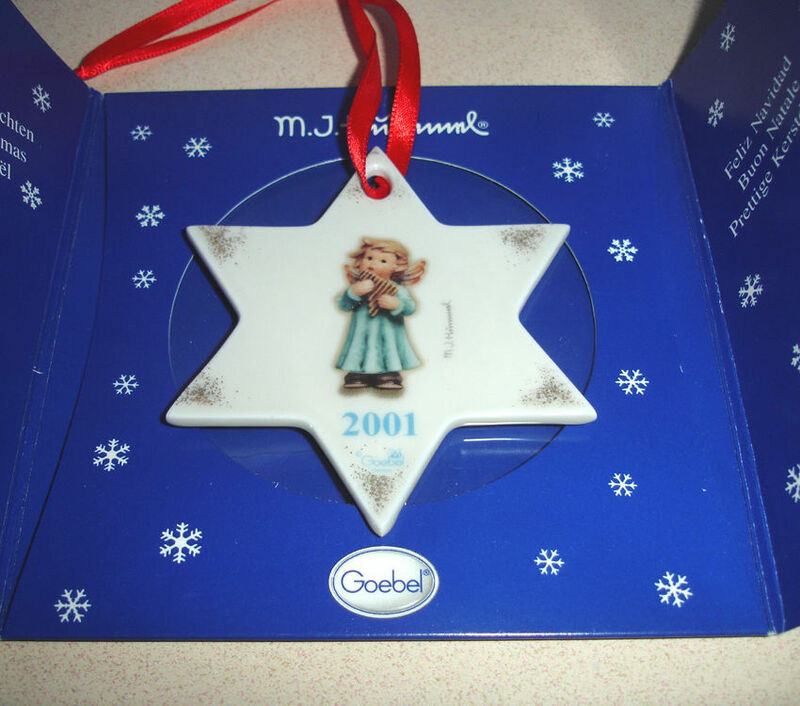 Hummel Goebel Joyful Recital Christmas Tree Ornament 2001 #1718 Hum 2098/B New! M.I.Hummel/Goebel "Joyful Recital" Annual Christmas Tree Ornament, 2001 #1718 - Hum 2098/B • Porcelain star-shaped annual Christmas ornament with little Hummel angel in the center, the same design is on both sides • Measures approx. 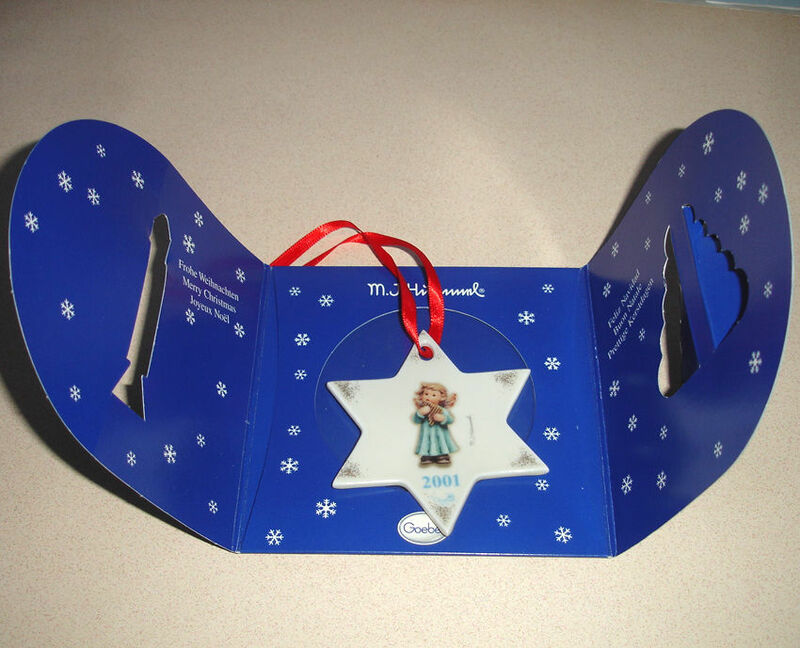 3-1/8" wide x 3-1/2" long and includes red ribbon for hanging • Purchased directly from the Goebel/Hummel company in new, unused condition, comes in original packaging Please closely examine the listing and submit any questions prior to purchase. Pictures may not reflect true colors due to various lighting conditions. Smoke-free, pet-free environment.